Not too shabby. 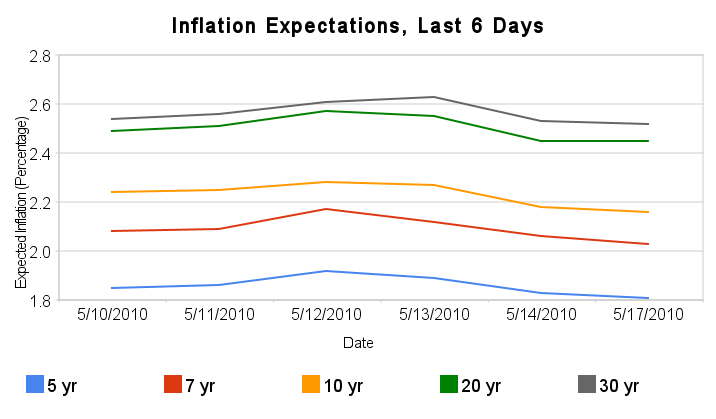 The market is expecting decently low inflation of less than 2.2% a year over the next ten years. It’s pretty comparable to the last time we checked in (this link). What do you think?